New to espy, Edwin Jeans. Denim has progressed to the point of low cotton content, artificial fibers like lycra, elastane, and tencel have begun to dominate the denim industry. All under the guise of ‘premium denim’ which you would think means they are your every-day go-to pair of jeans. What do you mean I can only wear these once a week? What happened to the heavier, robust and tougher everyday denim we grew up wearing? On the hunt for that traditional denim feel? Look no further, the highly touted and much anticipated North American debut of Edwin Jeans is here and espy is officially the only store in Calgary carrying the brand. The brand’s resurgence into the mainstream starts with Adriano Goldschmeid. If this name is not familiar to you, read this. The “Godfather of Denim” is back to deliver you premium denim straight from one of the most well-known brands to ever come from Japan. AG’s fascination with the high quality of Japanese denim began years ago. Given the opportunity to collaborate with Japan, he took it. Hoping to transform the denim world in the USA and world, AG is on a mission. Designed in LA, made in Tokyo, meet Edwin. Manufactured on traditional looms that require exceptional skill to operate, you’ll be confident in the quality of these jeans. Edwin has been in production for over 70 years. Edwin was the first brand to create an “old wash” using the stone-washing technique in which pumice stones are washed with the jeans to create a worn-out look. 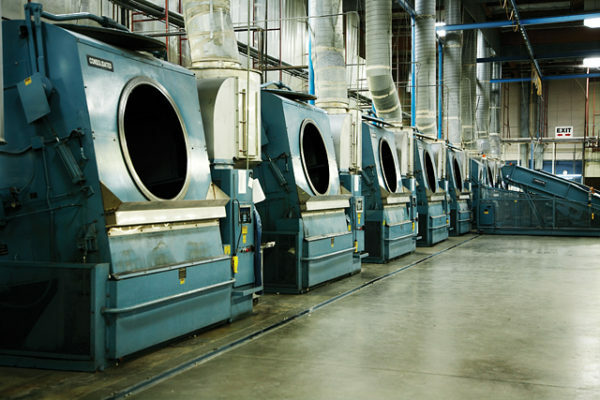 Pumice stones are put into these wash machines with the raw denim to create a worn-out look. Japan is well-known for its incredible looming techniques. They also have a reputation for high-quality craftsmanship. This means you can expect the denim quality is that much better and more authentic. What does this mean to you? At the turn of the century, Japanese manufacturers bought out all traditional denim looms which they still use in production today. In modern looms you’ll find they can be up to 18ft wide, versus a traditional loom which is about 2ft wide. This means high attention to detail in the cotton, fabric treatment, dyeing and all aspects of making a great quality denim. The looms create a more dense, tighter weave. It gives each pair of jeans a distinctive, unique composition so no two pairs are exactly the same. 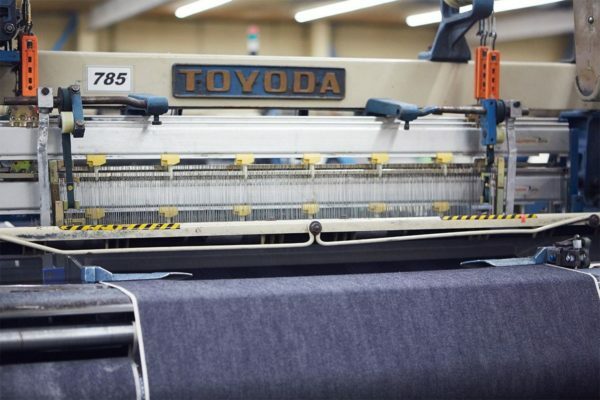 Traditional Toyoda denim loom used in Edwin factories today. In the Edwin factory, each denim technician dedicates their lives to perfecting this art. The technicians much like artists are encouraged to make their looms unique. They are able to adjust the settings on their loom to their own individual preference for better production. This means every pair of jeans is truly a one and only. Edwin is one of the most desirable factories to produce in. Edwin’s environmental impact is so minimal that local ecosystems are virtually unaffected by production. In fact, the water used during processing is clean enough to put back into the environment afterward. Edwin focuses on the efficiency, quality, and craftsmanship of producing and delivering premium denim. The classic “Edwin” jean is a traditional stiff, selvedge denim. Denim-heads, these are for you! 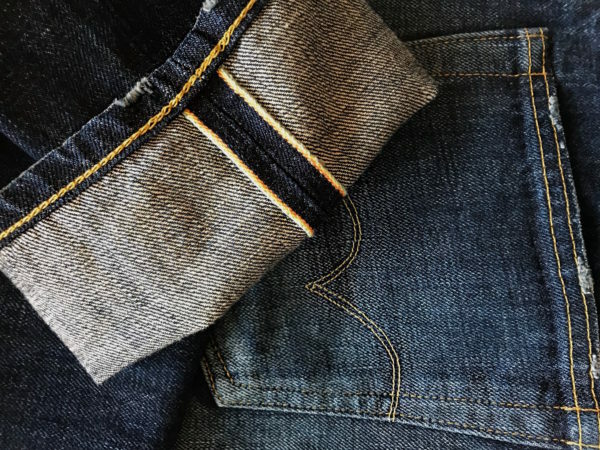 If you’re unsure what selvedge is, it refers to the incredible technique originally called “self-edge” in which the edge of the denim fabric is used in production for the finished product. Edwin’s patented signature selvedge is rainbow. Selvedge is specific to the traditional Japanese looms creating that strong, denser weave in a jean that you can wear in and wear every day. Shop Edwin in store today, and you won’t regret it!